The hyperlipidemia is having a high rate of blood lipids (excess fat), which included cholesterol and triglycerides. This physical state does not cause symptoms. For many people, it does not have any harmful consequences. It is, however, one of the most important of the many risk factors that, added together, can lead to cardiovascular disease. The excess of lipids in the blood helps to harden and thicken the wall of the arteries of the heart, the coronary arteries. Therefore, the heart adapts more and more difficult to the physical effort. Hyperlipidemia, by damaging the walls of the arteries, also contributes to the formation of blood clots that can completely clog an artery causing a stroke, an infarction (heart attack). Thickened patches of the artery wall can also become detached and become entrained in the circulation (fatty embolus) and then migrate to small arteries that they mouth, causing for example a stroke. The disorders cardiovascular are the leading cause of death in the world. In Canada, for example, heart disease has become the second leading cause of death (28% of deaths), just after cancer (29% of deaths). Although smoking has halved, the increase in overweight, obesity and waist circumference (in the abdominal area) (about 5 cm to 6 cm more over the last 20 years) suggests an increased frequency of cardiovascular disorders for years to come. Nevertheless, it should be noted that these cardiovascular disorders are less often fatal than in the past: the mortality rate has dropped by about 40% in recent decades. For stroke, care is also becoming more and more effective. Where does the excess cholesterol and triglycerides come from? The liver produces the vast majority of cholesterol (4/5) used by the body in various functions. The rest comes from food, especially animal foods. It is foods rich in saturated fats (fatty meats, butter, fatty dairy products) and Tran’s fats (hydrogenated margarines, vegetable shortening, desserts, and pastries) that increase the rate of “bad” cholesterol, called LDL. However, we now know that for the majority of people, dietary cholesterol alone has little effect on blood cholesterol levels: it affects only 1/5 the blood cholesterol level. Eggs, shrimp and offal, for example, high in cholesterol should not be banned because they contain little saturated fat. In addition to ingested foods, lack of physical activity (sedentary lifestyle) and smoking can also raise cholesterol levels. In addition, genes have their influence especially in large autosomal dominant familial hyperlipidemias. Cholesterol is a specifically animal molecule, absent from plants. It helps to absorb dietary fat through the formation of bile. 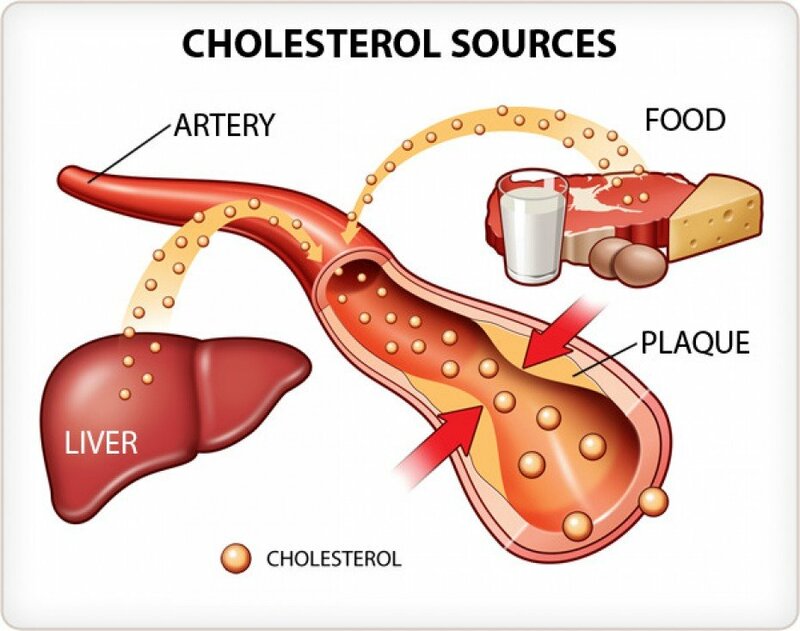 Cholesterol also allows the manufacture of hormones so it is essential to life, we cannot live without cholesterol. As for triglycerides , they come mostly from alcohol and sugars ingested excessively (especially “fast” sugars, such as fruit juices and other sugary drinks, cakes, confectionery and jams trade), transformed into triglycerides by the liver. Thus, even if triglycerides are a type of lipid (therefore fat) blood, their presence in excess does not usually come from dietary fat, but rather from the excess of sugars. I have too much cholesterol according to my doctor, should I remove all fats? No, by no means. Cholesterol from diet only slightly influences your blood cholesterol levels (and you write a little), and despite heavy eating efforts, you may not be able to normalize your cholesterol level. So, it is important not to delete everything, because what counts is to adhere to the therapeutic project inscribed in time and including still and thankfully the right to small food pleasures. Calorie intake of lipids should not exceed 30 to 35% of total daily intakes. What is needed is to reduce saturated fats from animal fats such as cold cuts, red meat, dairy products and its derivatives. And next, increase your consumption of fish, plants and fiber. I am told that I have a good cholesterol level that is too low and that I have a role to play in raising it! Alcohol also increases triglycerides. So be moderate! Dietetics requires 3 essential things: the realism, the precision and the rigor of … the prescriber! Do sugary foods have as much impact as fatty foods on blood lipids? Fatty foods are the ones that have the most negative effect on blood lipids, but sweet foods also influence them and play just as important a role as fatty foods in overall health. In the last 25 years, fats have been widely blamed for being harmful to the arteries and the heart, but for about 4 or 5 years, very good research teams have realized that we have probably put too much focus on fats and not enough on sugars. We talked a lot about cholesterol, saturated fats, and trans fats. The industry’s reflex has been to remove fat everywhere: lean yogurt, cholesterol-free products, and so on. But to improve the taste, there has been a tendency to add sugar. Today, many experts believe that the obesity epidemic is attributable to this industry response. Nowadays, we eat more but we mostly eat more sugar. The consequences of this surplus of sugar have certainly been neglected. Sugar influences blood lipids, especially through the metabolism of insulin. When you ingest a sweet dessert, say a piece of cake or a sweet yogurt, your insulin goes up to lower blood sugar. When insulin is elevated in the blood, it causes a multitude of reactions. For example, a few hours after eating this dessert, your liver starts producing more triglycerides. It also produces a little more LDL cholesterol but the effect of sugar on this type of blood lipid is lighter. And more generally, by raising the level of insulin, sugar causes the storage of fat. Fats that lodge in the viscera increase waist circumference and secrete a host of pro-inflammatory and oxidative substances. The concern of parents should not be the fight against cholesterol, which remains a mysterious and worrying word, but rather the fight against triglycerides whose rate depends directly on the content of sucrose, fructose and other sugars in our daily diet. The total amount of cholesterol (CT). Depending on the case, other blood tests may be offered by the doctor. For example, measuring the level of LP (lipoprotein was significantly elevated in people with high LDL-C levels simultaneously) and measuring C-reactive protein, a marker of inflammation. “Good” cholesterol, “bad” cholesterol, triglycerides! Like other blood lipids, cholesterol is not soluble in the blood. In order to circulate it and be sent to the cells, it needs to be transported by substances called lipoproteins. The triglycerides are another type of fat that is found in the blood and are the form in which fat is stored. This is the second energy reserve provided by the body, which is solicited once the first source of energy “fast” is exhausted (it is glycogen , found in the liver and muscles). Too high or normal: how to evaluate cholesterol levels? 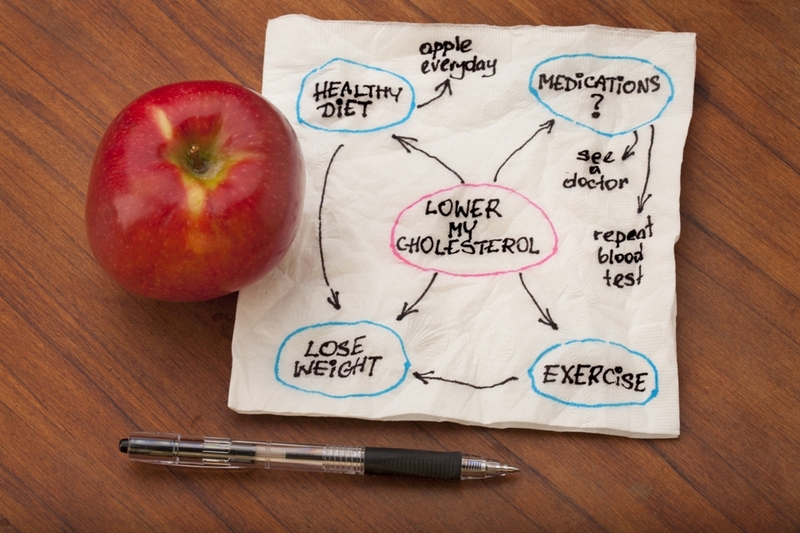 Doctors are now assessing cholesterol levels relatively. They no longer talk about normal rates, but rather about rates relative to the general condition of each person and, especially, the presence of other risk factors for cardiovascular disease. 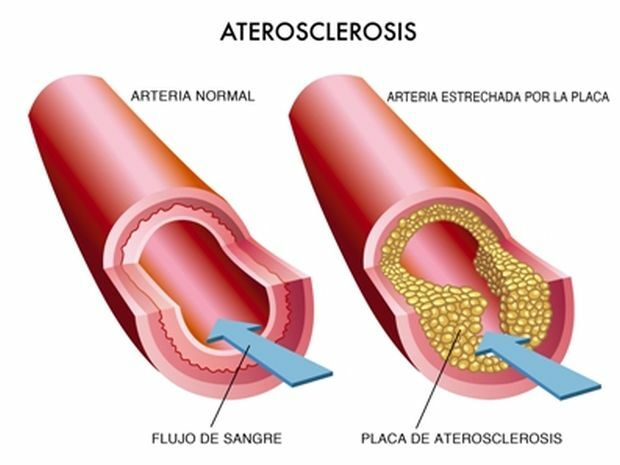 Thus, the cholesterol levels that an individual must aim at are estimated according to his personal rate of risk of cardiovascular diseases (angina pectoris attack, myocardial infarction, and stroke) in the next 10 years. It depends on several factors: personal history of cardiovascular disease, age, smoking, diabetes, blood pressure, current level of total and HDL cholesterol, family history of cardiovascular disease, abdominal obesity and gender. – The age of over 50 for a man or over 60 for a woman. – These same antecedents present in the first family line (sisters, brothers, father and mother) before age 55 for men and 65 for women. – Smoking even if weaned for less than 3 years. a 34-year-old woman who is not smoke-free and without hypertension will be considered at low risk: she will not need to reduce her cholesterol levels as much. Then we refer to the table below, which determines the LDL-C objectives to be set according to the associated risk factors. In people who have never had a cardiovascular accident, we talk about primary prevention. Hypercholesterolemia and hypertriglyceridemia are not accompanied by any symptoms. When symptoms appear, the arteries have already lost 75% to 90% of their diameter. Pain in the chest (angina) or lower limbs. Women over 60 and those who have had premature menopause; the decline in estrogen levels after menopause tends to increase total cholesterol and LDL (“bad cholesterol”) levels. people with diabetes and / or hypertensia. Risk factors for hyperlipidemia (cholesterol and triglycerides). The lifestyle habits contribute to raising the level of cholesterol and accelerate the deleterious effects on the arteries. Some drugs work on blood lipids. If in doubt, consult your doctor or pharmacist. The test can be performed on average every 5 years in healthy people. Consume alcohol in moderation. The amount of alcohol consumed should not exceed 1 drink per day for women and 2 drinks per day for men. The treatment varies according to the lipid balance values and the presence or absence of other risk factors for heart disease. For people whose health check reveals a high risk of coronary heart disease, a major change in lifestyleis at the heart of the therapeutic approach : diet, smoking, physical activity, alcohol consumption. If possible, seek the services of a nutritionist or dietician. It is recommended to see your family doctor again 4 to 6 weeks after your first visit. According to the most recent data, the pharmacological treatment would have an interesting efficiency essentially for people who have already had an infraction or a crisis of angina, to prevent the occurrence of other heart problems. Consume alcohol in a moderate way. In some cases, total forbearance is recommended. As a first step, some doctors recommend removing desserts (other than fruit), which are unnecessary sugars and evaluate the effect after a few months. It is also important to monitor the amount of breadconsumed. Also noteworthy is the Portfolio diet, a diet designed to improve the lipid profile, which is similar to vegetarianism. Followed rigorously, this diet would lower LDL cholesterol up to 35%. The benefits of the Mediterranean diet on heart health are now widely recognized. (the recent PREDIMED study confirms the benefits). Does a person who decides to change his eating habits get results quickly on his cardiovascular health? This may surprise, but the results are visible the same day. You eat, for example, a junk food meal. In the hours that follow, you can measure the direct impact on the ability of your arteries to expand. This is known in scientific terms as endothelial function. This is the first attack, before atherosclerosis [plaque formation in the arteries]. If, on the other hand, you say to yourself, “Well, today, I’m fed up with junk food, I’m going to cook a piece of salmon with a salad, olive oil and tomatoes”, it will happen exactly the opposite: your endothelial function will improve. So there is an immediate effect on the blood and also on the vessels. Obviously, this positive effect being repeated every day, the health of the arteries finally improves after a certain time. But there is also an immediate effect. As for smokers who quit smoking: in 24 hours, the carbon monoxide level in their blood falls dramatically, and in a few days you see effects on blood platelets, coagulation, etc. The health benefits of physical activity are multiple. In addition to contributing to weight loss and weight maintenance, it has been proven that being active increases HDL levels and lowers triglycerides. A person who becomes active can hope to raise his HDL (good cholesterol) level from 5% to 6%. Losing 5 kg, its HDL rate rises by 10%. These 2 effects are cumulative. A minimum of 30 minutes of moderate to vigorous activity per day is usually recommended (for example, walking). Ideally, you should aim for 1,000 calories per week. For example, one person may choose to walk 30 minutes each day, another to walk 1 hour 3 times a week, etc. The medications, obtained by prescription from the doctor, are mainly used to lower the LDL (“bad cholesterol”) and total cholesterol levels. It is rarely used to lower triglyceride levels, which respond very well to improved lifestyle habits. 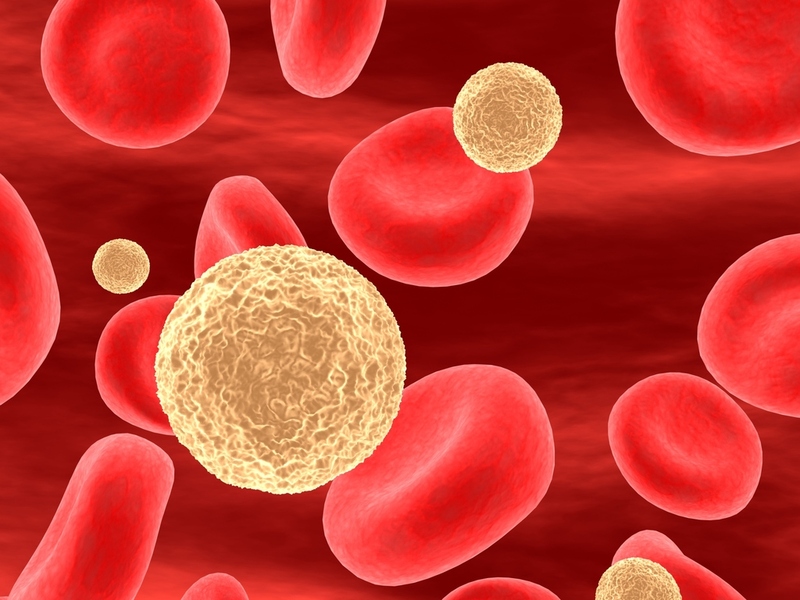 Research is underway to develop approaches to increase HDL (“good cholesterol”) levels. the niacin or nicotinic acid, which increases HDL cholesterol and lowers triglyceride levels – doctors is rarely used. The statins are the most frequently prescribed drugs. Generally well tolerated, they can nevertheless cause various undesirable effects. This would be the case for about 5% of people who take it. Among the most important are muscular pains of the type of muscle cramps that can lead to rhabomyolysis. The efficacy of statins in primary prevention (in people who have never had a cardiovascular event) is, however, controversial. In 2007, the French cardiologist Michel Lorgevil had ruled against the use of statins in a book for the general public. Prof. Even has also largely fueled the media debate and sparked considerable controversy on the part of the affected cardiologists. In June 2010, the publication of new scientific data revived the debate. The ability of these drugs to prevent a bout of angina or heart attack in at-risk patients would be very low or nil. There is still controversy about the efficacy of statins. In which cases do you think statins are useful? For patients who have had angina or a heart attack, or who have documented coronary artery disease, I think there is no question: the studies clearly confirm the efficacy of statins. However, for people who have never had an angina or myocardial attack, the effectiveness in preventing a first cardiac event is very low or questionable, but it depends on the case. The typical patient to whom I will give a statin in prevention (so-called primary) is a man or a woman in her 50s or 60s who has hereditary risk factors and who is already making all the desirable efforts in terms of food, smoking, etc. And when I tell people to change their lifestyle, it’s not an optional recommendation. I am very serious about this. I say this because every day people tell me, “Since I take my statin, my doctor tells me that my cholesterol is perfect, so I started eating anything again. Patients doing this are wasting their money and the government’s money. I think that the statin alone does not protect people from the effects of bad lifestyle habits. One of the reports of the national health insurance fund (CNAM) estimated that a majority of people treated for excess cholesterol (2/3) should not have been while others, at high cardiovascular risk, did not receive any treatment. Doctors must therefore question the relevance of their prescriptions and assess the benefit / risk ratio they provide to their patients. And ask each time: is there legitimacy to treat? If you have an excess of cholesterol, and a doubt about your treatment, do not hesitate to ask a second opinion to a cardiologist, endocrinologist or nutritionist. The cost incurred is not the only parameter to be taken into account, but the service rendered to each person who consults. It is therefore essential for the doctor to listen to everyone, to take the time to weigh the pros and cons before setting up a treatment. And remember that many people do not take their treatment properly if they have too much drug to take. The antiphon of Hippocrates will be constantly recalled “that food is your first medicine”.